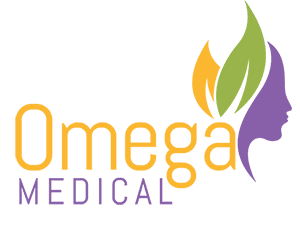 Doctor Amit Chitalia, MD at Omega Medical Is Proud to Offer Botox Injections in Florham Park, NJ. We Are Conveniently Located at 123 Columbia Turnpike Suite 202b Florham Park, NJ 07932. Call Us for More Information or Simply Book an Appointment Online! At Omega Medical in Florham Park, NJ our med spa team often receives questions about our Botox injection services. Highlighted below is some information on Botox to help you determine if it is the right treatment for you! What exactly is Botox and how does it work? Botox, also known as botulinum toxin type A, is a neurotoxin that works to smooth wrinkles, often on the face. These wrinkles can happen from the natural aging process, or from expressions our face tends to make on a daily basis. Botox injections work to block nerve impulses from muscles in the face, which causes them to relax, and soften your wrinkles in the process. To simplify, nerves signal muscles to contract which then create wrinkles and folds on the surface of the skin. Botulinum Toxin A (Botox, Xeomin, Dysport) block the signal from the nerves so the muscle does not contract. The blockage is reversible over time and there is NO permanent damage to the nerve endings and muscles do not degrade. Once the injection is done the duration of actions is from 3-6 months then the procedure can be repeated. Besides using in Cosmetic Medicine BTX-A has been used for medical indications such as in Cervical Dystonia, upper limb spasticity, blepharospasms, tics and spasticity, strabismus, hyperhidrosis, achalasia, migraine, urinary incontinence, Bells palsy, etc. Where is Botox usually applied? Botox is often used on the face for both men and women, and can give a natural looking and youthful appearance. Common areas for injections include the frown lines, wrinkles around the eyes, forehead creases, the corners of the mouth, and chin. Our Botox professionals at Omega Medical can help you to decide where on your face injections are needed. Botox and similar injections (Botulinum Toxin A or BTX-A) are essentially FDA approved “wrinkle busters” and it is the most common cosmetic procedure in the U.S. It can be used to create a youthful, relaxed and rejuvenated look. It can be injected in the forehead, glabellar complex, crow’s feet, Nasalis “bunny lines”, upper lip lines, masseters, platysma, etc. As with most injections, Botox can be painful for some patients who are sensitive. However, most patients do not report any pain with the Botox injection treatment other than some slight discomfort. At Omega Medical, we offer the option of numbing if necessary. If Botox injections sound like the right option for your wrinkle reduction needs, then we welcome you to give us a call today to schedule an initial consultation, or simply schedule through our website. Our entire team is ready to help answer any questions that you may have about the Botox injection process, and help you to identify the right wrinkle treatment for your needs. We are a trusted and reliable clinic in the Florham Park area and have a well equipped location to help you with all of your med spa needs! Omega Medical looks forward to helping you with all of your Botox needs soon.